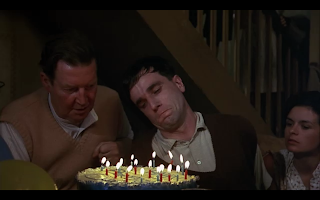 My Left Foot boasts a bravado acting performance by Daniel Day-Lewis, but the biopic of Irish artist Christy Brown is an otherwise laboriously episodic exercise, hampered by often incomprehensible dialogue. Born to a poor family in Dublin in the early 1930s, Christy Brown (Day-Lewis) suffered from severe cerebral palsy that left him with almost no communication or motor skills. His father Paddy (Ray McAnally) deems him an imbecile, but his mother Bridget (Brenda Fricker) believes that there is a human being trying to function within the tangle of uncontrollable body parts. Christy eventually trains himself to write and express himself with his left foot, the only limb that he can manipulate with some success. Also using only his left foot, he starts to paint. Always struggling against poverty and discrimination due to his physical condition, Christy finally gets help from therapist Dr. Eileen Cole (Fiona Shaw). She improves the clarity of his speech, spots his painting talent, and helps to introduce him to the art world, where a gallery showcases his work. But there are more troubles to come, as Christy's search for love collides with a combative, often explosive, personality. 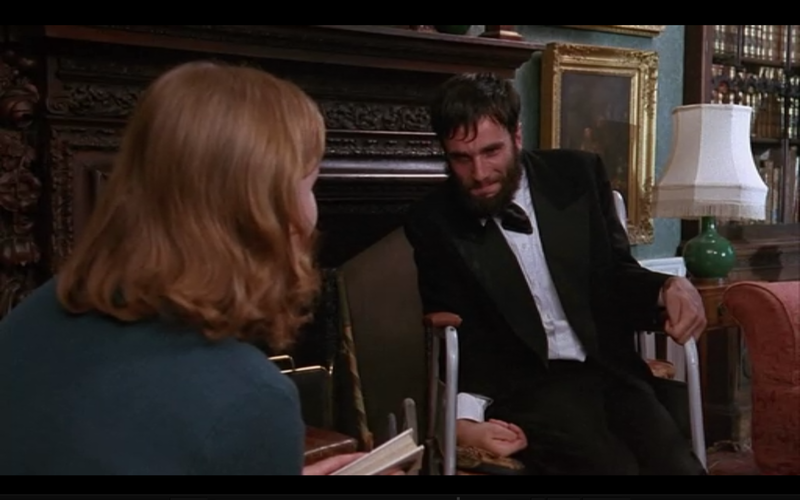 Daniel Day-Lewis earned his first Best Actor Academy Award for an intense, physically demanding role. Contorted into impossible postures, squeezed into tight angles, forced to crawl just to move and then thrown into makeshift wheelbarrows because the family is too poor to afford a wheelchair, Day-Lewis delivers a staggering performance, exhausting just to watch. And for all of the movie he talks like a man afflicted with cerebral palsy, but here My Left Foot starts to run into some trouble. 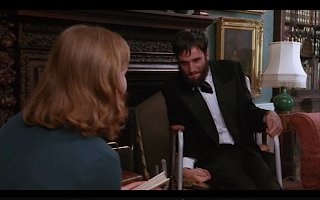 Christy Brown's dialogue is less than fifty percent comprehensible, the combination of speech impediment and Irish accent creating an often impenetrable barrier. Authentic, perhaps, but a difficult and less than engaging movie experience. My Left Foot also struggles to create any narrative tension or story arc. Once the premise and background contexts are set, the film settles into sequential "episodes from the life", director Jim Sheridan unable to conjure up more than routine biographical instalments. Boredom creeps in, despite the efficient 100 minute running length. There is an attempt to book-end the movie with a now-successful Brown wooing Mary Carr, a nurse tending to his needs at a social function. While this unconventional romance relieves the dreariness of the earlier-life poverty and anguish stories, it does not add momentum. The supporting performances are sound, Brenda Fricker perhaps surprisingly winning the Best Supporting Actress Academy Award for her staid turn as Brown's always hopeful mother, while Ray McAnally saturates the screen with old-fashioned Irish paternalism as the naturally gruff but tender-deep-inside father. With the help of a terrific central performance, My Left Foot does chart the unblinking course of a remarkable man overcoming immense physical challenges. However, the quest for realism also steers the movie towards the dryness of biographical documentaries.